In addition to accolades for the inherent quality, performance and benefits of our software, BlackLine has been the recipient of many industry awards recognizing the fast growth of the company, outstanding achievements of members of the management team and exceptional client service. BlackLine has been recognized by Software Magazine in the 2018 Software 500 with the leading financial automation software provider ranking seventh largest amongst those listing SaaS (Software-as-a-Service) as their primary business sector, a testament to the growing demand in the marketplace for the company’s cloud platform for financial controls and automation. The 2018 listing marks the eighth year in a row BlackLine has made the prestigious ranking of the largest software and services providers in the world. 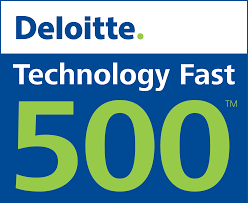 BlackLine has been listed on Deloitte’s Technology Fast 500 for the past nine years - 2010 - 2018. Each year companies “innovate, overcome obstacles and systematically defy the odds.” The Deloitte Technology Fast 500™ program recognizes these efforts in its annual ranking of the 500 fastest-growing technology companies in North America. The program includes both public and private companies and is based on percentage revenue growth over a 4-year period. BlackLine took the No. 334 spot on the 2018 list. 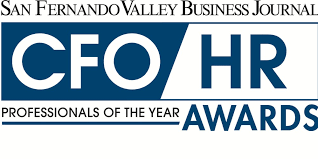 Chief Financial Officer Mark Partin was named ‘CFO of the Year’ with Patrick Villanova, corporate controller and principal accounting officer, honored as ‘Rising Star of the Year’ at the 2018 Chief Financial Officer and Human Resources Awards presented by the San Fernando Valley Business Journal. BlackLine’s top-two finance executives have been recognized for their leadership during the financial automation software company’s first full year as a public company. BlackLine and Therese Tucker were honored at Shelter Partnership’s 29th Annual Dinner for the company’s contributions to the homeless of Los Angeles County. During the 2017 holiday season, BlackLine and Therese led a drive to provide each homeless person in Los Angeles with new clothing. BlackLine worked closely with Shelter Partnership to oversee distribution of nearly 200,000 essential items to hundreds of non-profit agencies that serve veterans, domestic violence victims, families living in poverty and disabled individuals throughout the region. 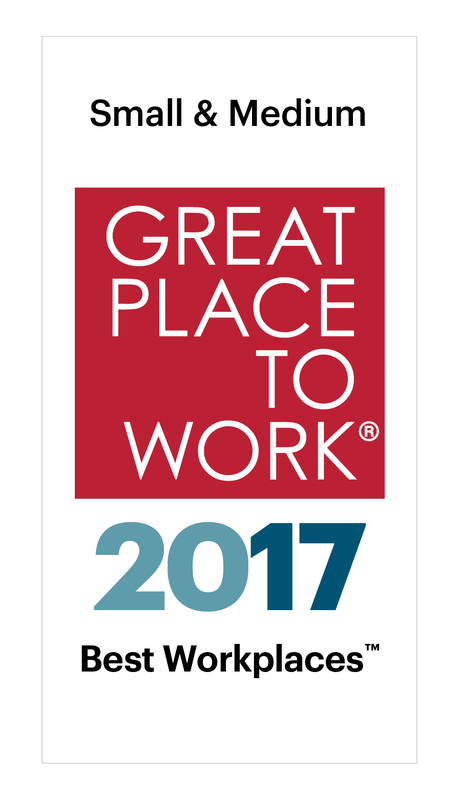 For the second consecutive year, BlackLine has earned a place among the country’s ‘Best Workplaces in Technology,’ an annual ranking by consulting firm Great Place to Work® and Fortune magazine. BlackLine took the No. 6 spot on the 2018 list of ‘Small and Medium-Sized Companies’ (fewer than 1,000 employees) in the United States, and took the #15 spot in 2017. Therese Tucker was recognized as an ‘Entrepreneur of the Year’, winning a Gold Stevie during the 2017 ceremony for The Stevie Awards for Women in Business. Ms. Tucker was recognized for being one of the few female founder/CEOs in the technology industry who has led her company to an IPO. Tucker also was acknowledged for having built BlackLine based on a culture of service, fostering an environment of teamwork, collaboration and respect for both clients and employees. 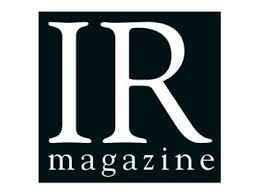 BlackLine received IR Magazine’s U.S. 2018 award for ‘Best Investor Relations for an Initial Public Offering’. Award nominees were identified through in-depth research and hundreds of analysts and investors giving their opinions on which companies do the best IR in the US..
BlackLine was named a 2017 ‘Market Leader in Financial Close Management’ by FeaturedCustomers.com. The annual list is based on data from FeaturedCustomers.com’s customer success content platform, user generated reviews, as well as additional data aggregated from online sources and social media properties. ‘Market Leaders’ are chosen based on the size of customer base and market share. ‘Leaders’ have the highest ration of customer success content, content quality score, and social media presence relative to the size of the company. For the second consecutive year, BlackLine has been named one of the country’s ‘Best Small and Medium Workplaces’, a prestigious ranking recently revealed by consulting firm Great Place to Work® and Fortune magazine. BlackLine took the No. 24 spot on the 2017 list of the ‘100 Best Medium Workplaces’ (between 100 and 999 employees) in the United States. In 2016, BlackLine took the No. 65 spot on the list. Therese Tucker was named the ‘Top Woman Leader in SaaS’ by The Saas Report. Ms. Tucker was honored with the No. 1 spot on the 2017 list after making history in 2016 as the “first female founder/CEO to lead a VC (private equity)-backed Los Angeles start-up to its IPO,” according to the Los Angeles Times. BlackLine was named one of the ‘Best Places to Work’ in Los Angeles for the fifth year in a row. Recognized by the Los Angeles Business Journal and Best Companies Group for being “successful in business and in nurturing its own,” in 2017, BlackLine took the No. 25 spot on the list of large-sized companies in the region. BlackLine made BuiltinLA’s annual list of the Top 100 Tech Companies in L.A for the second year in a row, taking the No. 39 spot. The annual list ranks Los Angeles and Orange County’s top digital tech employers based on local, full-time employee count. 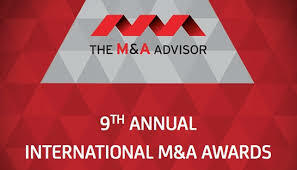 BlackLine was honored by The M&A Advisor for the company’s 2016 acquisition of Runbook, with the transaction named the ‘Europe Deal of the Year’ at the 9th Annual International M&A Awards gala in New York City. BlackLine’s acquisition of Runbook, a Europe-based provider of financial close and automation solutions to the SAP® market, extends the company’s Continuous Accounting platform, merging financial quality assurance with financial automation and accelerating BlackLine’s innovative strategy for transforming Finance & Accounting. Mark Partin was named ‘CFO of the Year’ by the San Fernando Valley Business Journal (SFVBJ). The 2017 SFVBJ awards recognize the achievements of leading finance professionals in the region. Mr. Partin was acknowledged for his leadership preparing BlackLine for the company’s October 2016 debut on the Nasdaq Global Select Market and for building a “best-in-class” finance organization that has consistently driven growth and leveraged efficiencies. BlackLine was honored by the Los Angeles Chapter of the Association for Corporate Growth (ACG LA) with the ‘IPO of the Year’ award, following the company’s October 2016 debut on the Nasdaq Global Select Market. Each year, ACG LA recognizes “exceptional companies” in the Los Angeles region that have “demonstrated outstanding performance and leadership,” choosing from a pool of hundreds of deserving nominations. Other award recipients included Dollar Shave Club, LA Rams and Stamps.com. Therese Tucker was honored with the ‘CEO of the Year’ award at the 16th Annual Women in Business Awards presented by the San Fernando Valley Business Journal. The Women in Business Awards recognize the outstanding achievements by women business leaders, as selected by the reporters and editors of the SFVBJ. 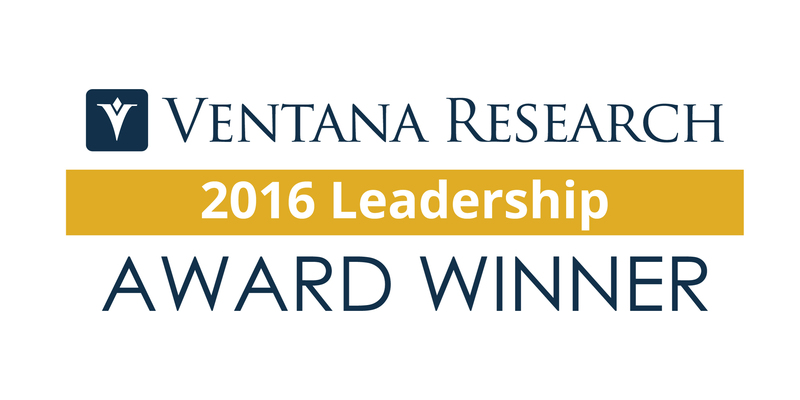 Ventana Research has selected Dun & Bradstreet’s implementation of the cloud-based BlackLine Finance Controls and Automation Platform for a 2016 Business Leadership Award. The Leadership Awards are the largest business and technology awards program in the industry. Winners were selected based upon an organization’s accomplishments innovating or enhancing the productivity and outcomes of business or IT processes. 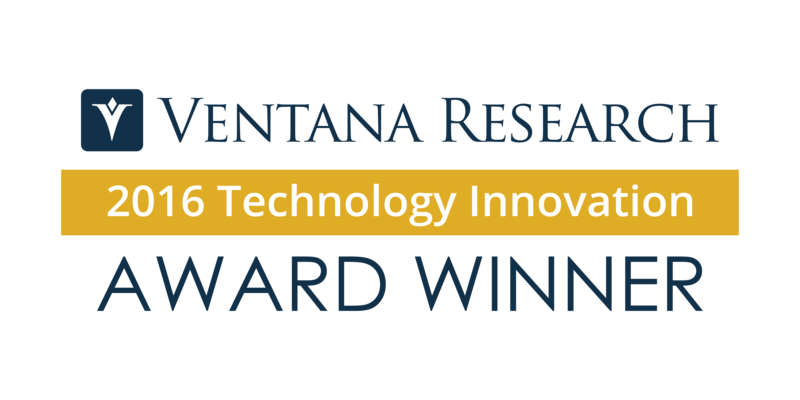 Ventana Research has selected BlackLine for a 2016 Technology Innovation Award for “business innovation in the office of the CFO.” BlackLine’s Finance Controls and Automation Platform was recognized for delivering a fresh approach to Finance & Accounting known as Continuous Accounting, a model in which automation, control and tasks typically not performed until the period-end, are embedded directly within day-to-day activities, allowing the rigid accounting calendar to more closely mirror the dynamic nature of actual business cycles. BlackLine took the no. 34 spot on the inaugural Forbes Cloud 100 list, described by the media giant as “the definitive list of the top 100 private cloud companies in the world.” The 2016 list, which was developed in partnership with Bessemer Venture Partners, honors companies for their financial growth and excellence as recognized by customers and peers. 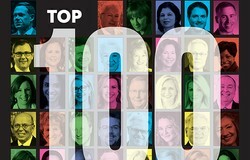 BlackLine has made Inc. Magazine’s listing of the Fastest-Growing U.S.-Based Private Companies for the past nine years, joining the ranks of Intuit, Microsoft, Patagonia and Zappos.com. The Inc. 500/5000 companies are ranked according to percentage revenue growth from 2012 to 2015. In 2016, BlackLine ranked No. 1613, demonstrating sales growth of 233%. The company ranked No. 1555 in 2015; 1,668 in 2014; 1,522 in 2013; 1,394 in 2012; No. 876 in 2011; No. 513 in 2010; No. 113 in 2009; No. 300 in 2008. 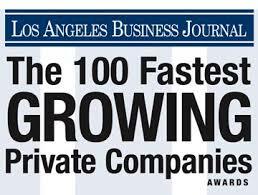 BlackLine as been ranked by the Los Angeles Business Journal (LABJ) as one of the top 100 Fastest-Growing Private Companies in the region for the past nine years, achieving the No. 53 spot in 2016. In 2009, the company achieved the No 6 spot; No. 7 in 2010; No. 27 in 2011; No. 35 in 2012, No. 29 in 2013, No. 38 in 2014 and No. 52 in 2015. Alain Avakian, CTO of BlackLine was named ‘CTO of the Year’ at the 2016 CTO Awards hosted by the Los Angeles Business Journal. Apps Run the World, a leading ICT market research firm, named BlackLine No. 105 on its 2016 list spotlighting the growth of the world’s 500 largest enterprise applications vendors as ranked by their Cloud subscription revenues. The company previously held the No. 121 spot on the 2015 list. BlackLine took the No. 7 spot on the 2016 list of the ‘50 Fastest-Growing Women-Owned/Led Companies’ as ranked by the Women Presidents’ Organization (in partnership with American Express). 2016 marks the fifth year in a row BlackLine has made the Top 20, and the first year the company ranked in the Top 10, rising from the No. 14 spot in 2015. All eligible companies were ranked according to a sales growth formula that combines percentage and absolute growth over the past five years. BlackLine won ‘Gold’ at the 2016 Commercial Real Estate Awards hosted by the San Fernando Valley Business Journal. The awards highlight the ‘biggest, best and most notable commercial real estate projects of the past 18 months’. BlackLine was acknowledged alongside the broker CBRE, architect DLR Group, and Sierra Pacific Contractors. BlackLine was awarded ‘Best Tenant Improvement’for the 65,000 square feet project that transformed the company’s corporate headquarters into a space that celebrates BlackLine’s open culture and commitment to employee engagement. BlackLine’s Finance Controls and Automation Platform was named ‘Best Accountancy Application’ at the 2016 Global Accountancy Awards presented by Acquisition International Magazine (AI), a global news magazine focused on corporate finance news and analysis. Launched five years ago in the United Kingdom, AI has rapidly risen to become the publication of choice for more than 500,000 corporate finance professionals in over 170 countries, regularly featuring insights from some of the biggest players in the global corporate finance landscape including KPMG, Ernst & Young, PricewaterhouseCoopers and Deloitte. BlackLine’s Finance Controls and Automation Platform was named ‘Best in Enhanced Finance Controls & Automation (EFCA) Software’ at The 2015 Software & Technology Awards presented by Corporate America News an independent news magazine aimed at CEOs and other top-tier management and decision makers across the United States. The Software & Technology Awards are dedicated to bringing to the forefront the most technologically ground-breaking and results-driven industry leaders in the United States. The awards highlight the cutting-edge individuals departments and firms who through their commitment experience and willingness to push the boundaries of business-based technology will shape and enhance the American business landscape for years to come. technology industry who are most likely to create the next big thing or influence the industry in a significant way. CEO and founder, Therese Tucker, was named ‘Maverick of the Year’ at the 13th Annual American Business Awards. Tucker was recognized for her accomplishments building BlackLine from the ground up into the leading provider of Enhanced Finance Controls and Automation software. The American Business Awards, part of the Stevie Awards programs, honor an all-inclusive spectrum of American business people and organizations—from non-profits, emerging start-ups, major public companies and government agencies, to corner-office executives, corporate communicators, support staff and customer service teams. More than 3,300 nominations were submitted to The 2015 American Business Awards, and more than 200 executives nationwide participated in judging to determine this year’s Gold, Silver and Bronze winners. BlackLine took the #29 spot on Inc. Magazine’s inaugural Impact 50 list, the top women-led, privately-held companies in the U.S. The Impact 50 measures absolute revenue growth from 2011 to 2014 among the Inc. 5000 companies run by women that are U.S.-based, for profit and independent. 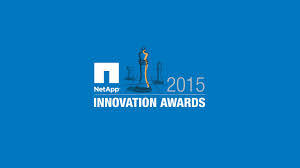 BlackLine was named a finalist for the 2015 NetApp Innovation Awards in the category of “Pioneer Innovation.” The NetApp Innovation Awards recognize the companies and the people that are aggressively and innovatively leveraging technology to make IT dramatically more proactive, productive, and essential to creating business value. The “Pioneer Innovation Award” highlights companies that have transformed IT into a competitive asset by integrating their data center operations with the cloud. 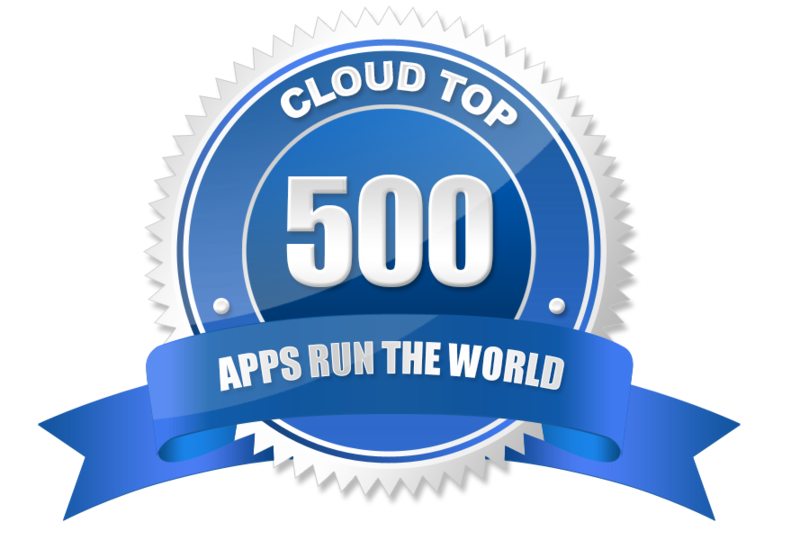 BlackLine has made the 2015 Talkin’ Cloud Top 100 Cloud Service Providers list, coming in at #31. 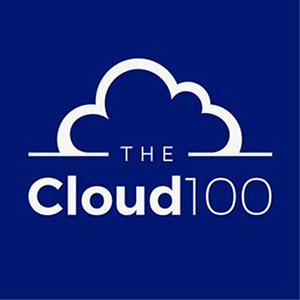 The Talkin’ Cloud 100 ranks the world’s top cloud service providers, aggregators, brokers and more. Companies on the Talkin’ Cloud 100 are ranked based on an internal formula that puts a heavy weighting on recurring cloud revenues. This year’s edition of the TC 100 underscores the flexibility and agility of cloud companies as they help give shape to the rapidly expanding market. The companies that comprise the 2015 TC 100 list generated more than $30 billion in cloud services revenue, an increase of 28.6 percent over 2014. BlackLine is an SAP Gold Partner in the ‘Software Solution and Technology Partner’ program, recognizing the company’s successful efforts promoting and working alongside SAP. SAP software solution partners develop applications that extend and add value to SAP solutions. The BlackLine Financial Close Suite for SAP® Solutions also is an SAP-endorsed business solution, joining the ranks of fewer than 40 solutions globally to achieve this status. BlackLine was recognized by leading SaaS research and advisory firm Montclare as one of the “most influential and successful SaaS companies in the world” – ranking No. 77 on the 2014 Montclare SaaS 250. BlackLine also took the No. 7 spot in the Financials category. 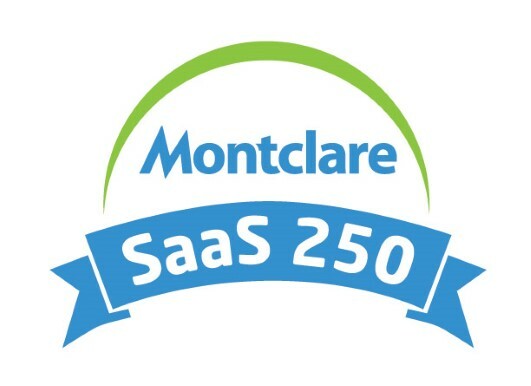 In making the SaaS 250, BlackLine joins many global brand name SaaS providers including Concur, Google, LinkedIn, NetSuite, Salesforce.com and Workday. 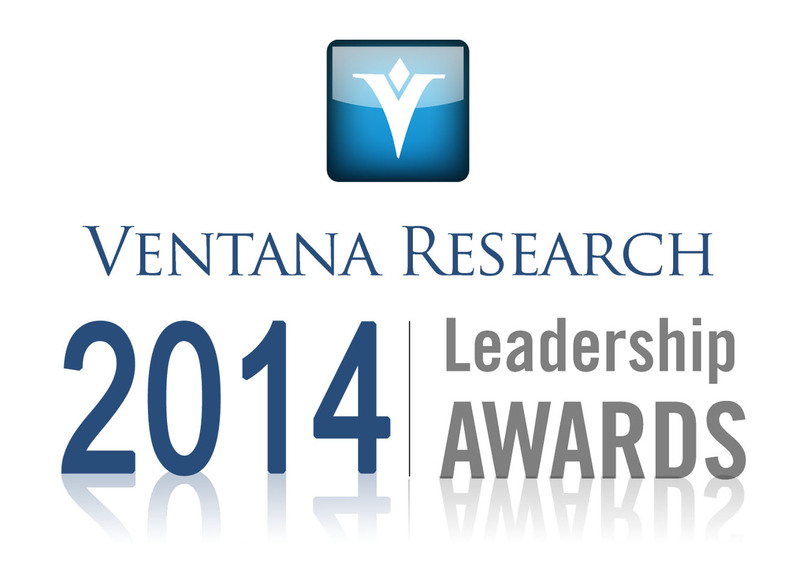 Ventana Research selected The Dow Chemical Company’s implementation of the BlackLine Finance Controls and Automation Platform for a 2014 Technology Leadership Award. As a Fortune 50 company with more than 53,000 employees worldwide and annual sales of $57 billion, Dow was looking to drive efficiency and reduce the workload and stress in its Accounting and Finance organizations. The company recognized that account reconciliations were a key control and critical part of the financial closing process, but changes needed to be made to the process which involved more than 1,000 people each quarter in hundreds of legal entities around the world, preparing approximately 250,000 reconciliations in Excel. BlackLine has been recognized by CIOReview as one of the “100 Most Promising SAP Solution Providers of 2015,” highlighting companies with the “expertise to enhance SAP platforms enabling enterprises to transform and optimize their business processes.” CIOReview is the leading source of information on “innovative enterprise solutions developed by established solutions providers and upcoming hot enterprises.” BlackLine was called out from hundreds of solutions providers as a supplier of a “leading service that supports a core business process.” Companies recognized by CIOReview are at the forefront of tackling challenges faced by the finance industry, including innovation related to cloud, mobile, SaaS, PaaS and ERP, Big Data and analytics and mobility. BlackLine CEO and Founder Therese Tucker won a 2014 CEO World Award in the category of ‘Founder/Entrepreneur of the Year.’ Tucker was recognized for her accomplishments founding BlackLine and growing the company into the leading provider of Enhanced Finance Automation and Controls software. The CEO World Awards are an annual industry and peers recognition program honoring CEOs and companies of all types and sizes and from all over the world for leadership, innovation, organizational performance, new products and services, case studies and customer satisfaction programs. BlackLine has been ranked by the San Fernando Valley Business Journal (SFVBJ) as one of the valley’s Fastest-Growing Private companies for the past six years, ranking No. 7 is 2014. The company ranked No. 4 in 2009; No. 4 again in 2010; No. 13 in 2011; No. 11 in 2012, and No. 9 in 2013. Max Solonski, director of Information Security for BlackLine, won the 2014 ISE® West Award in the Executive of the Year category. Solonski was recognized for his “outstanding leadership” improving the organization’s risk management, data asset protection, privacy and network security efforts while proactively implementing security technology and processes. BlackLine won both Gold and Bronze 2012 Golden Bridge Business & Innovation Awards recognizing the company for the outstanding achievements of its Finance and Marketing teams. The awards were presented at a formal ceremony at the iconicFairmont Hotel in San Francisco. The Bronze award went to CFO Charles Best and the BlackLine Finance department reflecting BlackLine’s strong financial performance and aggressive implementation of several cloud-based technology solutions to automate and improve processes for the fast-growing company. BlackLine VP of Marketing Howard Goldstein won a Gold Award for building the company’s marketing program from the ground up since he joined BlackLine just a few years ago. The Golden Bridge Awards are an annual industry and peers recognition program honoring “the best companies and executives” in every major industry and from all over the world. BlackLine CEO and founder Therese Tucker was named to the 2014 list of the ‘Top Women of Influence in Los Angeles’, taking the top spot in the highly competitive Technology category. Tucker was recognized alongside senior executives from other leading high-growth, consulting and investment firms such as Ernst & Young, Deloitte, Google, Morgan Stanley and Wells Fargo. BlackLine CFO Charles Best was honored with a TechAmerica 2012 ‘Financial Star of the Year’ Award in the category of private companies under $50 million. The appointment reflects BlackLine’s strong financial performance, along with Best’s direction implementing technology solutions to automate processes for the fast-growing financial software company. The TechAmerica awards highlight “financial leaders who have significantly contributed to the success of their companies, industry, peers and community. BlackLine was named a Finalist in 2009 by the Technology Council of Southern California (TCOSC) for the organization’s annual Software Company of the Year award. TCOSC evaluates companies based on several selection criteria, such as management style/team building; corporate culture; personal and professional accomplishments; determination, ethics and drive; company profitability and fiscal resourcefulness; and product innovation. They also looked at the individual’s contribution to the local community and how he or she is helping to advance the technology industry in that community. BlackLine CEO Therese Tucker as Finalist 2009. BlackLine CEO and Founder Therese Tucker was named a Finalist in 2009 by the Technology Council of Southern California (TCOSC) for the organization’s annual CEO of the Year award. TCOSC evaluate executives and their companies based on several selection criteria, such as management style/team building; corporate culture; personal and professional accomplishments; determination, ethics and drive; company profitability and fiscal resourcefulness; and product innovation. TCOSC also looks at the individual’s contribution to the local community and how he or she is helping to advance the technology industry in that community. BlackLine CEO and Founder Therese Tucker was honored with a 2013 Silver Stevie® Award for ‘Woman of the Year – Technology.’ The Stevie Awards for Women in Business recognize outstanding accomplishments and achievements of women in the workplace. BlackLine’s CEO was selected from thousands of nominations from organizations of all sizes and in virtually every industry. BlackLine was honored with a 2013 Silver Stevie® American Business Award℠ for ‘Fastest-Growing Tech Company of the Year – Up to 2,500 Employees’. The Stevie American Business Awards are “the nation’s premier business awards program, recognizing outstanding performance in the workplace.” BlackLine was selected from thousands of nominations from organizations of all sizes and in virtually every industry. BlackLine CEO & Founder Therese Tucker was honored with a 2011 Stevie® American Business Award℠ for Executive of the Year in the highly competitive Computer Software category. The Stevie American Business Awards are “the nation’s premier business awards program, recognizing outstanding performance in the workplace.” Tucker was selected from more than 2,800 nominations from organizations of all sizes and in virtually every industry. BlackLine CEO, Company named as Finalists 2011, 2009, 2008. Based on the “outstanding achievements” of CEO and Founder Therese Tucker, BlackLine has been recognized as a Finalist in multiple categories (each year) for the Annual Stevie® Awards for Women in Business: Fastest-Growing Company of the Year, Overall Company of the Year and Best Entrepreneur, Non-Services Business. The Stevie Awards for Women in Business honor women executives, entrepreneurs and the companies they run – worldwide. Nicknamed the Stevies for the Greek word “crowned,” The Stevie Awards have been hailed among the world’s premier business awards. BlackLine CEO and Founder Therese Tucker was named CEO of the Year for Women in Business by the San Fernando Valley Business Journal (SFVBJ) in 2009. The SFVBJ Women in Business Awards honor outstanding achievements made by local business women. Therese was recognized by the SFVBJ for her accomplishments in building BlackLine from the ground up into a profitable entity – doubling in revenues in each of the past two years. Under her leadership, BlackLine also doubled its head count in 2008, providing new jobs in the local community. Global technology industry leader SAP® named BlackLine a Finalist for a 2011 Pinnacle Award in the Software Solution Newcomer of the Year category. SAP’s prestigious annual awards recognize the “best and brightest” of the SAP ecosystem, honoring partners that have “excelled in developing their partnership with SAP and in driving joint customer success.” BlackLine was one of only 54 Finalists selected from a pool of more than 6,000 participants. BlackLine CFO Charles Best was honored with a 2012 CFO Award by the San Fernando Valley Business Journal. The appointment reflects BlackLine’s strong financial performance, along with Best’s direction implementing technology solutions to automate and improve processes for the fast-growing financial software company. The annual awards, presented by the local business journal, recognize “outstanding CFOs and senior finance professionals” in the community. Global media company and leading technology industry news source Red Herring honored financial software provider BlackLine as a 2011 Winner of its prestigious Red Herring 100 Global award – an annual ranking of the 100 most innovative private technology companies in the world. The global accolade comes on the heels of BlackLine earning a Red Herring 100 North America Award Winner distinction in 2010. Global media company and leading technology industry news source Red Herring honored financial software provider BlackLine as a 2010 winner of its prestigious Red Herring 100 award – an annual ranking of the 100 most innovative private technology companies in the North America business region. BlackLine was an Award Finalist in 2009. AT&T, MeadWestvaco implementations – 2009 winners. The Nucleus Technology ROI Awards recognize 10 companies each year whose skillful IT deployments have produced a “positive, bottom-line financial return on investment (ROI).” Two BlackLine customers – AT&T and MeadWestvaco – were selected by independent research firm Nucleus Research as 2009 recipients of its Technology ROI Award for their implementations of BlackLine’s account reconciliation and financial close software suite. BlackLine’s implementation at AT&T resulted in a 689 percent ROI and full project payback in less than two months, as determined by Nucleus. A similar case study conducted by Nucleus showed that MeadWestvaco achieved 495 percent ROI and also saw project payback in just two months. Technology industry research firm Lead411 named BlackLine to its list of the “Hottest Technology Companies in Southern California” for 2011. The “Hot Company” accolade came on the heels of BlackLine’s No. 126 ranking on Lead411’s 2010 Technology 500 – an annual list of the fastest-growing, private technology companies in the United States. Technology industry research firm Lead411 ranked BlackLine No. 67 on its 2013 list of the fastest-growing, private technology companies in the United States. The 2013 Lead411 Technology 200 is based on percentage fiscal-year revenue growth over the two-year period from 2010 to 2012. In that timeframe, BlackLine grew more than 142 percent. BlackLine also made the list in 2012, 2011 and 2010. BlackLine ranked No. 57 in 2010. BlackLine achieved the No. 57 spot on the Los Angeles Business Journal’s (LABJ) annual ranking of the top 100 Largest Women-Owned Companies in the region. BlackLine CEO and Founder Therese Tucker was named a Finalist in the Los Angeles Business Journal (LABJ) ‘Women Making a Difference’ Awards – honoring “women of outstanding achievement in the Los Angeles business community.” The Finalist distinction reflects Tucker’s accomplishments in building and growing the financial software provider into the leading company in its space. BlackLine CEO as Finalist 2010. The Los Angeles Business Journal (LABJ) held its nineteenth annual Women Making a Difference event in May 2010. The celebration honored Los Angeles-based women who “lead by example, successfully blending effective business vision with passionate commitment to positively ‘make a difference,’ both in the world of business and the communities they serve.” BlackLine CEO Therese Tucker was named a Finalist for the 2010 Award. BlackLine was named a ‘Great Place to Work’ and ‘Great Rated!’ by its employees in August of 2013. The Great Rated! Review highlights what makes BlackLine’s workplace culture “great” in areas including professional development and training, company atmosphere, and benefits and rewards, among other criteria, with 99 percent of BlackLine employees stating they are proud to tell others they work at the financial software company. BlackLine Named a “Cool Vendor” April 2010. Leading global IT industry research firm Gartner named BlackLine in its “Cool Vendors in Risk Management and Compliance, 2010,” report. BlackLine is one of just three companies called out in the report which highlights vendors that “offer solutions that are certainly relevant to risk management and compliance, but might not immediately spring to mind when thinking of GRC (governance, risk and compliance) solutions.” Gartner’s list is designed to highlight “interesting, new and innovative vendors, products and services.” Gartner defines a cool vendor as a company that offers technologies or solutions that are: Innovative, enable users to do things they couldn’t do before; Impactful, have, or will have, business impact (not just technology for the sake of technology); and Intriguing, have caught Gartner’s interest or curiosity in approximately the past six months. BlackLine CEO Therese Tucker Named LA Region Semi-Finalist 2009, Finalist 2008. BlackLine CEO and Founder Therese Tucker was in the running two years in a row for a prestigious Ernst & Young (E&Y) Entrepreneur of the Year Award in the Greater Los Angeles Region for her accomplishments in building BlackLine from the ground up and contributing to the growth of Southern California as a center for technology innovation. E&Y evaluates nominees and their companies based on several selection criteria, such as management style/team building; corporate culture; personal and professional accomplishments; determination, ethics and drive; company profitability and fiscal resourcefulness; and product innovation. E&Y also looks at the individual’s contribution to the local community and how he or she is helping to advance the technology industry in that community. BlackLine was named one of the ‘Top 10 Most Promising Finance Management Software Providers 2014’ by CIOReview – the leading source of information on “innovative enterprise solutions developed by established solutions providers and upcoming hot enterprises.” BlackLine was called out from hundreds of solutions providers as a supplier of a “leading service that supports a core business process.” Companies recognized by CIOReview for the annual list are at the forefront of tackling challenges faced by the finance industry, including innovation related to cloud, mobile, SaaS, PaaS and ERP, Big Data and analytics and mobility. Inc. magazine named BlackLine to The Build 100, its new business index that honors an “elite tier of companies that have expanded employment in each of the past five years.” The inaugural Build 100 was created by studying the growth performance of millions of U.S. mid-market companies between 2007 and 2012. During that time, BlackLine increased its head count by more than 1,000 percent, adding jobs in the United States, London and Sydney. BlackLine was honored with a Patrick Soon-Shiong Innovation Award, recognizing the company for innovation stemming from the simple concept of leveraging technology to optimize and automate accounting processes to help companies save time, reduce costs and make life easier for those working in corporate accounting and finance departments. Presented annually by the Los Angeles Business Journal, the awards emphasize the importance of supporting innovation in order to foster the economic competitiveness of the Greater Los Angeles region. The San Fernando Valley Business Journal (SFVBJ) recognized BlackLine CEO Therese Tucker as a ‘Business Woman of the Decade.’ The most recent accolade from the SFVBJ followed Tucker’s 2009 recognition as ‘CEO of the Year for Women in Business.’ For its first-ever ‘Business Woman of the Decade’ awards, the SFVBJ was looking for “women who had significant achievements since the time they were originally honored with a ‘Women in Business’ award and had sustained success over the past 10 years.” Under Tucker’s direction, BlackLine revenues were up by more than 50 percent in both 2009 and 2010. The 2009 growth followed three sequential previous years where the company’s revenues doubled. BlackLine was named a Gold Winner in the Best in Biz Awards 2014 International, the only independent business awards program judged by members of the press and industry analyst communities. BlackLine CEO and Founder Therese Tucker was honored by Best in Biz in the ‘Executive of the Year – Medium (100-999 employees) Category’ for her accomplishments building the financial software company from the ground up into the leading provider of enterprise-class Software-as-a-Service (SaaS)-based financial close applications. BlackLine was named the Silver award winner in the ‘Fastest-Growing Company of the Year’ category in the Best in Biz Awards 2013 competition – the only business awards program judged exclusively by members of the press and industry analyst communities. BlackLine was named the Silver award winner in the ‘Fastest-Growing Company of the Year’ category in the Best in Biz Awards 2013 International competition – the only business awards program judged exclusively by members of the press and industry analyst communities. BlackLine was named the Gold winner in the ‘Fastest-Growing Company of the Year’ category in the Best in Biz Awards 2011 – the only national business awards program judged exclusively by members of the press and industry analyst communities. 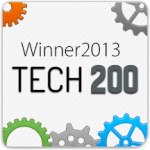 The AlwaysOn Global 250 represent the “top emerging companies worldwide that are demonstrating significant market traction and pursuing game-changing technologies in on-demand computing, digital media, and greentech.” BlackLine was named a Finalist in 2009 and 2008. “One To Watch” list Dec. 15, 2008, BlackLine was called out in the Dec. 15, 2008 issue of Accounting Today as “One To Watch,” an accolade given by the magazine’s editors to promising up and coming companies that demonstrate the potential to deliver superior accounting products and services for the long-term. BlackLine was shortlisted in the ‘Best Cloud Accounting Suite’ category at the 2014 UK Cloud Awards, recognising the company for the benefits, value and ROI that its Financial Close Suite brings to Accountancy, Finance and Compliance departments in mid-size to large organisations around the world. The annual awards program, hosted in London, is a joint venture run by the Cloud Industry Forum, CloudPro and techUK, designed to acknowledge innovation and excellence in the UK cloud industry. BlackLine took the No. 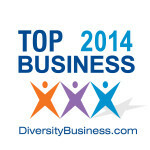 51 spot on the 2014 list of ‘Top 100 Women-Owned Businesses in California’ as ranked by DiversityBusiness.com. The “Top Businesses in America” program honors individuals who have established themselves as a world-class community of entrepreneurs that continue to transform the way we live and advance our economy forward. BlackLine CEO Therese Tucker was honoured at the 2014 FSTech Awards in London with the ‘Barry Holland Memorial Award for Outstanding Individual Achievement’ – recognising her accomplishments building BlackLine from the ground up into the leader in its space . BlackLine also was shortlisted in three additional categories — Cloud Computing Innovation of the Year Online Technology Provider of the Year and Best Use of IT in Insurance. The annual awards programme hosted by FSTech (formerly Financial Sector Technology) magazine recognises innovation and excellence in information technology within the financial services fields in the United Kingdom (UK) and EMEA (Europe Middle East and Africa). BlackLine was awarded the ‘2014 Deal of the Year’ Award from the Los Angeles Chapter of the Association for Corporate Growth (ACG LA) following the 2013 announcement that BlackLine attracted a major strategic investment from Silver Lake Sumeru, the mid-market, technology-focused arm of global private equity leader Silver Lake. Each year, ACG LA honors “exceptional companies” in the Los Angeles region. BlackLine was honoured at the 2014 Computer Weekly European User Awards, winning ‘Software Supplier of the Year’, for the company’s deployment of its flagship Financial Close Suite at Pan-European insurance provider Achmea. BlackLine also was shortlisted in the ‘Private Sector Project of the Year’ category. The awards series, hosted by UK-wide IT publication Computer Weekly, honours IT professionals across the UK and Europe for “excellence in their approach to technology” and focuses on five key areas: networking, security, software, storage and datacentre. BlackLine CEO and Founder Therese Tucker won a 2013 CEO World Award in the category of ‘Women CEOs of the Year.’ Tucker was recognized for her accomplishments building BlackLine from the ground up into the market leader, and eventually to the point at which she accepted a strategic investment from Silver Lake Sumeru, the mid-market, technology-focused arm of leading global private equity firm Silver Lake. 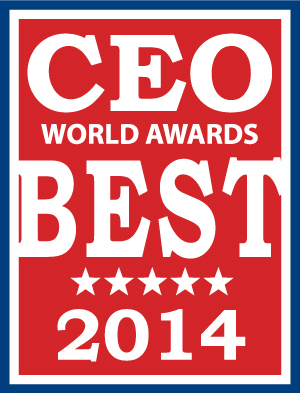 The CEO World Awards are an annual industry and peers recognition program honoring CEOs and companies of all types and sizes and from all over the world for leadership, innovation, organizational performance, new products and services, case studies and customer satisfaction programs. The Business Excellence Awards, presented by leading global business coaching firm ActionCOACH, honor the “best of the best” business performance results from organizations from around the world and showcase exceptional results for business owners, entrepreneurs, their teams and companies. BlackLine CEO Therese Tucker won two 2011 Golden Bridge Awards in the “Women in Business and the Professions” category. Tucker came away with the prestigious titles of “Best Entrepreneur/Founder – Non Services Business” and also “Best Woman Professional – SaaS or Cloud Computing. The Golden Bridge Awards are an annual industry and peers recognition program honoring “the best companies and executives” in every major industry and from all over the world.